**GEORGETOWN, MA NEW TO THE MARKET** Exceptional Value - Well Maintained 5 Room, 2 Bedroom, 1 Full Bath New England Style Colonial Boasting 936 S.F. of Living Area. Many updates Some Special Features Include: a newer Kitchen including all Appliances / Living Room with Custom Built-in / Dining Room / Hardwood and Tile Floors / Freshly Painted Throughout / Ductless Central A/C / Updated Electrical System / Garden Shed / Mature Plantings & Landscape / Large Deck overlooking a Private Backyard Ideal for Family Events / 6 Car + Off Street Parking. Vinyl Siding / Town Water and newer Septic System Move-in Condition. 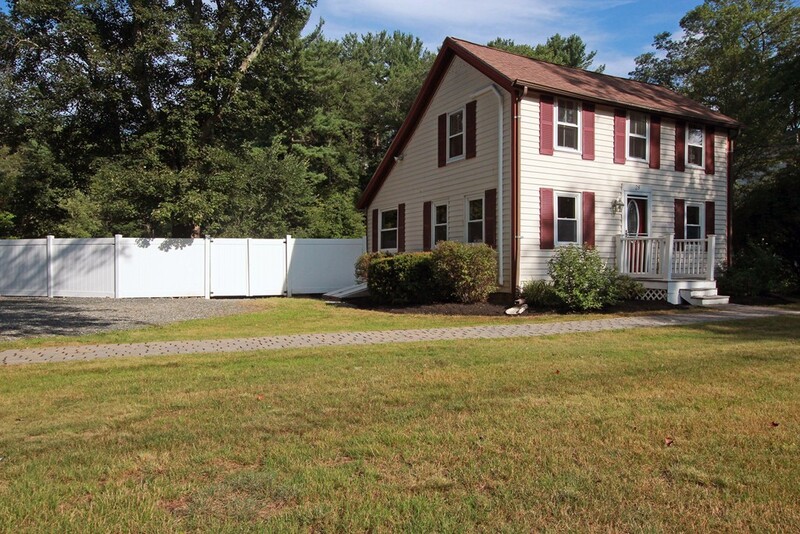 Ready for Immediate Occupancy ... Easy Access to Routes 95, the Commuter Rail, Boston and 3 Major Airports.